ZANDO Designs, Inc. is a design/build firm specializing in fine home and garden projects including renovation, landscape and new construction. Libby Zando, owner and the chief designer, works with a dedicated management staff and a team of skilled artisans and craftsmen. Together, they build distinctive projects recognized for creativity and attention to detail. Libby works personally with each client, from initial concept through detailed plans to final completion of work, in order to realize the full potential of their property. ZANDO Designs projects can be seen in the finest coastal area neighborhoods and many have been featured in prominent magazines including RENOVATION STYLE, BETTER HOMES & GARDENS, and DELAWARE BEACH LIFE. The ZANDO Designs office is located in historic Milton, Delaware next to the elegant circa 1900 Zando home overlooking the Broadkill River. The house, built by Captain George Megee, a ship chandler, has been recently featured in DELAWARE TODAY and CHESAPEAKE LIFE magazines for outstanding pool design, garden and interior details and art collections. ZANDO Designs is a “hands-on” company. 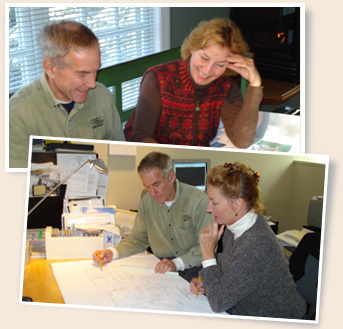 We design our projects in-house and utilize only experienced crews for all of our construction and landscape projects. We work personally with each client to identify and develop the optimum project for their home, from improvements to additions and fantasy gardens. Libby Zando learned her “hands-on” skills in a family of experienced builders, gardeners, stone masons and artists. She received a degree from the University of Maryland in Applied Design which included Interior Design, Space Development and Period Homes and Furnishings. She later received a Master of Fine Arts from the same Alma Mater with a full scholarship and teaching assistantship in painting and sculpture. Zando also worked as a construction designer and estimator for a prestigious company in Washington, D.C. After college Libby earned a real estate license and was active in the real estate field with her husband, Bob Blayney. The couple was active in the early renaissance of Lewes, Delaware. They purchased their first home in 1978. 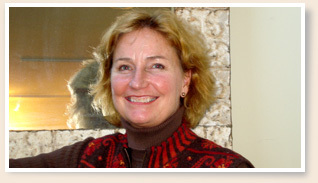 As they renovated and sold properties, Libby developed a loyal following of sub-contractors and clients. Her considerable art background distinguished her projects. She included distinctive details in her work, tastefully blending the old with the new. ZANDO Designs was incorporated in 1981 and raised the standards of local renovation work by using quality and tasteful details and featuring courtyard gardens with impressive landscape elements. Attractively integrating indoor and outdoor spaces became the key to the continuing growth and success of ZANDO Designs. 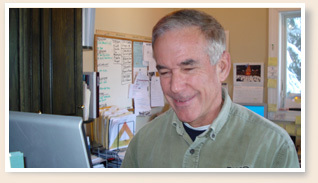 Maury Cannon came to work for ZANDO Designs in 2001 and never looked back. A graduate of Princeton University, he had honed his business skills managing one of the oldest and largest canning companies in Delaware and then proceeding to develop and manage other smaller companies in Wilmington, Delaware. Organization of paper work, change orders and contracts can be daunting for a small company, but Maury Cannon, in his capacity as accounting and business manager, provides the clients of ZANDO Designs an exceptional level of service and detail. Measure, draft and produce CAD plans for necessary permits, pricing and construction. Professional engineering services are available when needed. Hourly consultations are available for home and garden projects. Recommendations include architectural details and color selections; plant selections; accent lighting; and, pool layouts and designs. Provide experienced service to co-ordinate and expedite your project. Many part-time residents rely heavily on ZANDO Designs to manage all aspects of their projects -- from design and drafting details, to materials selection and coordination, to construction oversight, and even to final decorating! Artistry, plant knowledge, experience and attention to detail all combine to make ZANDO Designs projects stand out above the competitors. Design and install novel and care-free ways to bring the “sound of water” into the garden. From low-maintenance, pond-less water falls to continuous-flow fountains, ZANDO Designs creates unique and decorative water elements, including swimming pools that become beautiful water additions to the perfect garden setting. Our skilled craftsmen work with brick, stone, pavers and various natural wood and man-made products to create the utility, style and quality you desire and deserve. A large selection of low-voltage lighting is available to suit your needs and budget. Lighting provides beauty as well as security to your home, year round. Custom designed and built natural stone and modular retaining walls and steps add a unique and distinctive character to gardens, patios and ponds. Installing, monitoring and maintaining automatic watering systems are essential for plant health and viability in our harsh coastal climate. ZANDO Designs specializes in custom fencing, arbors and pergolas designed to compliment the architecture of your home, including historic details. Outbuildings made beautiful! ZANDO Designs works with the existing house details to create one-of-a-kind structures that integrate into the landscape. Many have been featured in national and regional magazines! Pottery and containers are the “jewelry” of the garden -- adding color, accent and character to personalize your setting. Available to ZANDO Designs clients upon completion of work. Content © Zando Designs, All Rights Reserved.